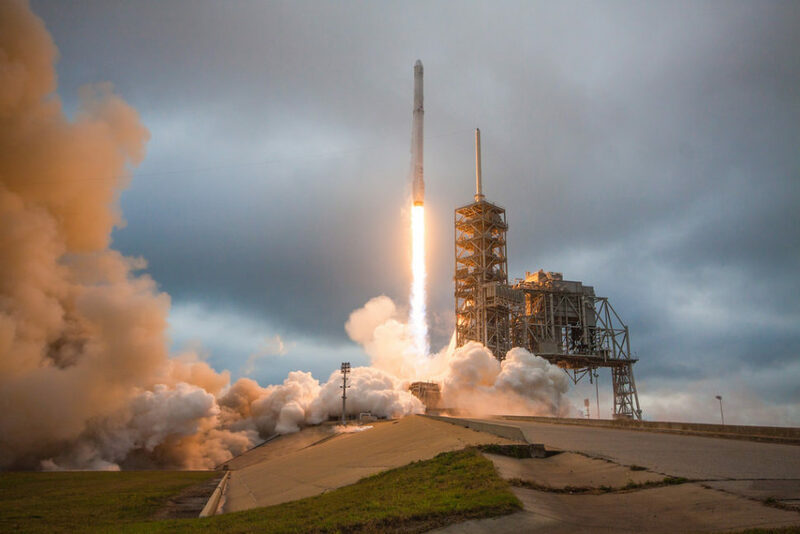 After aborting its first scheduled take-off, SpaceX is now set to launch their most powerful Falcon 9 rocket to date: the Block V.
SpaceX aborts the launch of what the company claims to be the most powerful Falcon 9 rocket to date. On Thursday, SpaceX aborted the new Falcon 9 rocket launch just a few seconds before take off. According to initial reports, a problem with the ground support system of the new rocket dubbed as Block V triggered its abort sequence. The abort was reportedly triggered less than a minute before the planned liftoff. SpaceX reportedly tried to fix the problem but was not able to do so within the scheduled launch window. Thus, the launch has been canceled and moved to Friday, May 11th. The new launch window will be between 4:14 PM ET and 6:21 PM ET. The Block V is considered the most advanced Falcon 9 rocket that is set to launch the first high-orbit communications satellite of Bangladesh. As the company shifts its focus to the development of its giant spaceship known as the BFR, the Block V will be the last and most powerful Falcon 9 SpaceX plans to make. The new Falcon 9 sports several upgrades which will make it more reliable and reusable, allowing the rocket to fly at least ten times without the need to be refurbished between launches and landings. Aside from that, it can also stage about 100 flights with minor maintenance. New landing legs with the ability to be retracted by the ground crew instead of having to be removed after landing. These legs will also be black instead of white. Changes to the turbopumps to prevent turbine wheel microfractures. This was never considered a risk by SpaceX, but NASA asked SpaceX to fix the issue and from all reports they have. The octaweb (a structure that holds the engines) will be bolted instead of welded, to reduce the time for inspection/repair/refurbishment and to allow easy change from F9 to FH side booster. The interstage will be black instead of white – likely unpainted carbon fiber (saves time and weight). Upgraded fairing, Fairing 2.0, which is very slightly larger and has changes to allow for recovery and re-use. It is also easier to make and lighter than the previous fairings. The rocket will be man-rated, meaning it will be certified to carry crew. NASA has set the bar at seven successful flights of the rocket for certification. Upgrades to active components such as valves, as well as many other parts to allow for many re-uses. You can watch the second attempt at launching the Block V here. Do you think the new Falcon 9 rocket, Block V, will be launched successfully today?